"Our mission is to be totally committed to making you feel like you are our only patient of the day. We will strive to make your total experience a quick, smooth, pleasant, and comfortable one. From the moment you call our office, personal attentive service is our goal. We hope that you will leave feeling valued, with a whole different attitude toward root canal treatment, and that you will honor us by entrusting your friends and family with our care." Our goal at CARY ENDO is to provide you with the best, most accurate, and thorough diagnosis possible. Recent technological breakthroughs have allowed us to make major advances in our ability to achieve that goal. CBCT (Cone Beam Computed Tomography), also referred to as 3D, is a new technology similar to CAT scans in that it will give us a 360 degree three dimensional view of the area we are examining. Previously, we were limited to a two dimensional picture of a three dimensional problem. There were many things we could not see because dental X-rays did not have the resolution to show them. Despite our best efforts, we were forced to infer, project, surmise, calculate, and interpret. Often, we could only give our best educated guess based on what we could see on the X-ray. Additionally, X-rays were often just not sensitive enough to show very small or the beginning signs of problems. That has all changed significantly with the advent of CBCT. With its extremely high resolution and exceptionally low radiation, it has literally changed our world with respect to what we can now see. CBCT imaging offers a large volume of information and subtle details that simply cannot be obtained by any two dimensional X-ray, whether intraoral or panoramic. One 3D scan will allow us to examine the region of interest at a high resolution from many different perspectives. Clinical studies support this technology’s improved diagnostic capabilities. We are very proud of CBCT and feel strongly that this state-of-the-art technology will allow us to provide our patients with the very highest level of care possible today. Taking the image is very simple. The scan generally takes between 10 and 20 seconds and the images are transferred directly to a computer. A common question is the amount of radiation that is emitted in obtaining this type of image. 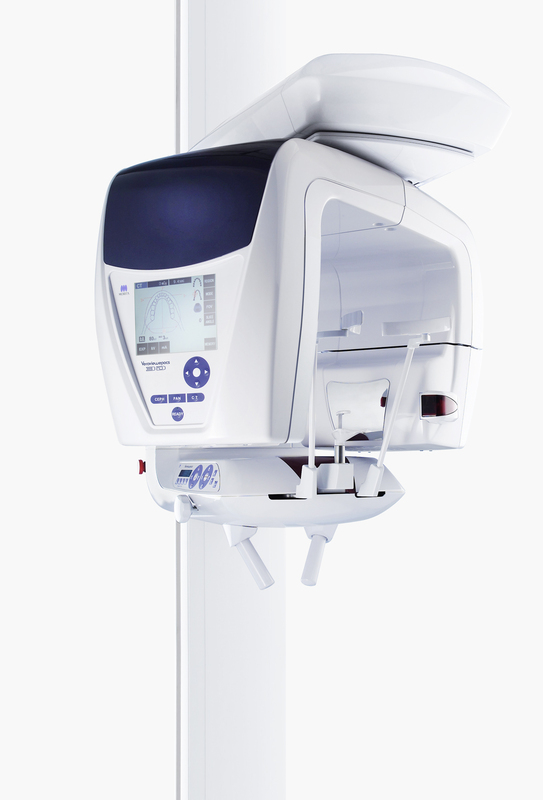 In an effort to provide the best care and lowest radiation dose possible, we selected a unit by Morita. Their machines offer extremely low radiation dose. Below are a few comparisons for a typical 40 x 40 mm scan. We look forward to providing you with exceptional care utilizing the most current and advanced technology available in dentistry. For more information on this ground breaking technology, please see the J. Morita website. Microscopes have long provided glimpses of that which is not normally seen by the human eye. In the endodontic field of dentistry, magnification of diseased areas of the teeth and gums is an advantage not previously available to dentists and patients. In our office, we use a Zeiss® Surgical Microscope. It provides enhanced visualization of the endodontic access or surgical area up to 25 times. This is especially beneficial for accurate visualization of complex anatomy cases, for locating root fractures or defects, for root-end surgery, for removal of separated instruments, and for locating canals. Ultrasound uses sound waves to provide imagery of the bodys tissues at varying depths. However, endodontists can now use hand-held ultrasound technology, in which powerful ultrasonic waves are used to not only detect the surface locations of canals, but also to prepare the tooth root for a retrograde filling and to removed composite resins, calcified canals, and posts. Use of endodontic ultrasound has been prevalent for many decades, but only recently has it become useful for endo-restorative and microrestorative work. For an Endodontist, the apex locator is one of the most invaluable technological advances available. The apex locator uses electrical currents to help identify to location of a tooth's apical foramen with as much as 80 to 90 percent accuracy. This allows an Endodontist to better determine how long the root canal space will be prior to treatment. It is important for the success of root canal therapy to clean and fill to the very end of the root, without extending beyond or being short. The electronic apex locator aids in measuring the length the canal by determining accurate position of the apical constriction through a resistance force. At Cary Endo we use the latest technology in an effort to provide our patients the best treatment outcomes possible. One of the ways we implement this is by the use of the EndoVac® system. An EndoVac® system is a true apical negative pressure system that draws fluid to the tip of the root cleaning the entire root canal system by way of evacuation. Irrigation solutions are sucked away from the apical foramen, virtually eliminating the risk of an irrigation accident during root canals. 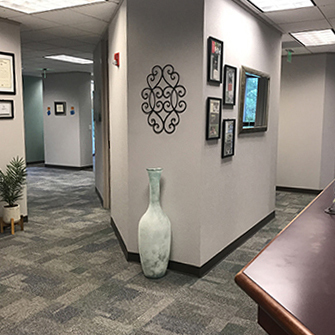 Here at Cary Endo we pride ourselves in the experience and relationships we have built during over-twenty years of serving the greater triangle and surrounding areas. This has created a family atmosphere and comfort level to our patients that is rare for the dental community. 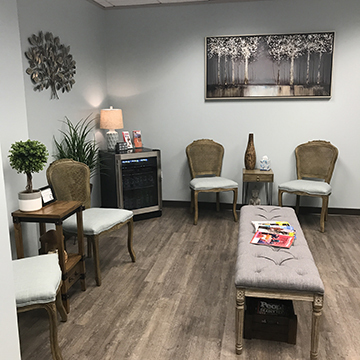 That family environment means you receive the best possible care while feeling relaxed and comfortable during and after treatment. 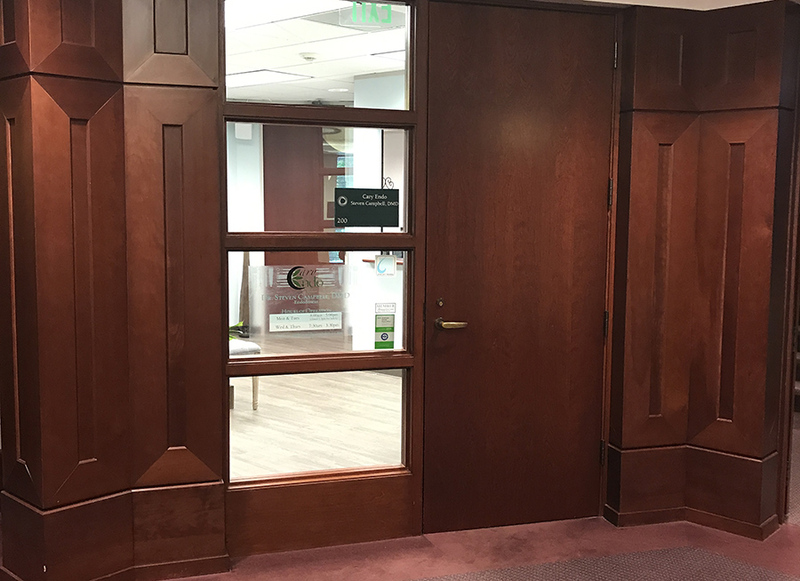 We are excited to announce the completion of our office remodel. 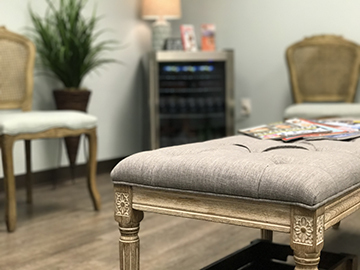 Our patients report that the new "spa-like" environment creates a calming feeling, which is rare to find at a dental office. 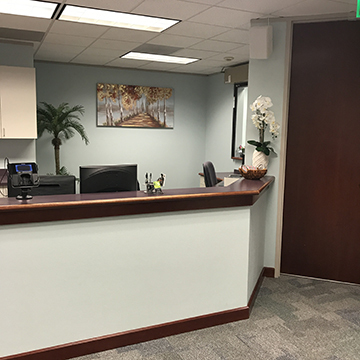 We hope our patients continue to feel welcome, comfortable and relaxed in our family-friendly office. 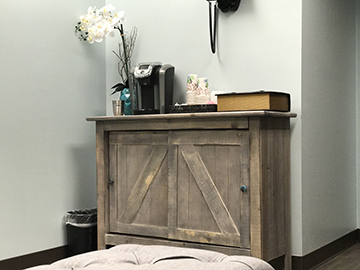 We offer complimentary starbucks coffee plus several other choices of cold refreshments to our patients and their guests. We have four operatories with floor to ceiling windows displaying the beautiful outdoor scenery of Cary. 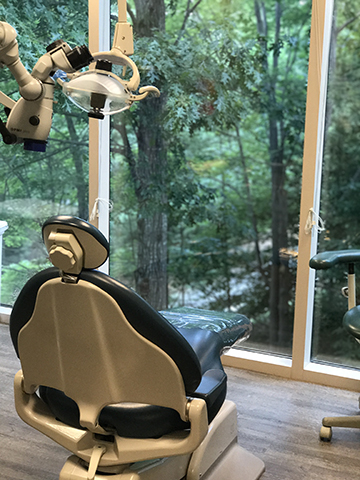 Many of our patients have mentioned how serene the operatories feel because of the comfortable, bright and open feel the windows give while being seated in a dental chair.